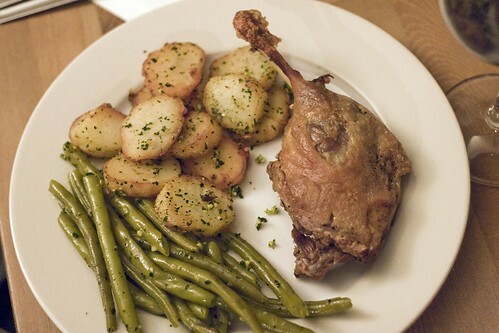 Our good friend Phil came over to our place last weekend to cook us some incredibly sinful yet equally delicious Confit de Canard. Of course the potatoes and beans were also rendered in duck fat as well. Should you like to attempt to make your own fatty duck at home, you can order the same poultry that we ate from Bella Bella Gourmet.